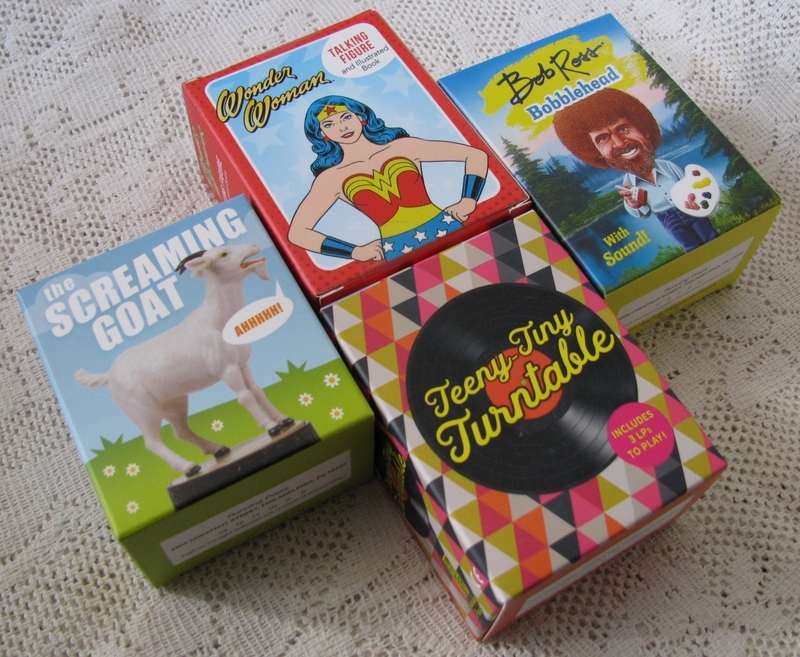 Books come in all sizes and these fun packages include teeny tiny little ones. Have you brushed up on your goat facts today? The funnest way to get educated today is by reading fun facts and trivia alongside your very own screaming goat! Need calming down rather than screaming? Bob Ross is here for you in bobblehead form repeating wise and witty sayings that you can listen to while blissing out to a book of his iconic landscape works. Looking for a strong female figure? Wonder Woman is full of empowering soundbites and a fully illustrated book. Feel like getting crafty? The Teeny Tiny Turntable includes the tiniest little turntable, 3 mini LPs each with a printed sleeve, music clips, stickers for customizing those cute LPs and a book full of fun facts about records.